The Muckle Howf sits is the grounds of Craighead Farm, surrounded by countryside, views and hills. 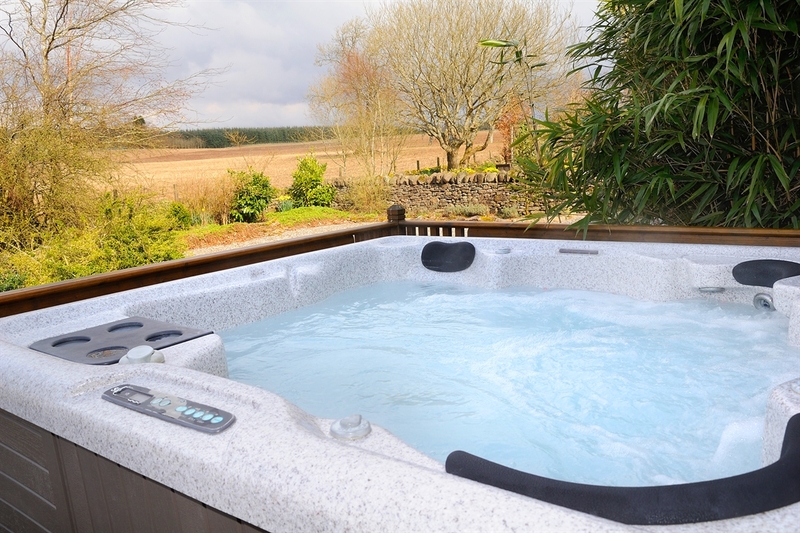 A stone built conversion it offers 5 star luxury including hot tub and sauna. Our garden and grounds make a delightful setting to wander in and our wide variety of animals love to see you. From here though you can easily strike out for some of the best Scotland has to offer, returning at night to sit outside under the stars in the hot tub with a glass of bubbly, or light the fire pit and toast marshmallows, when the weather won't let you do that you can light the wood burning stove in the snug or enjoy the comfort of the whisky lounge and enjoy a dram. 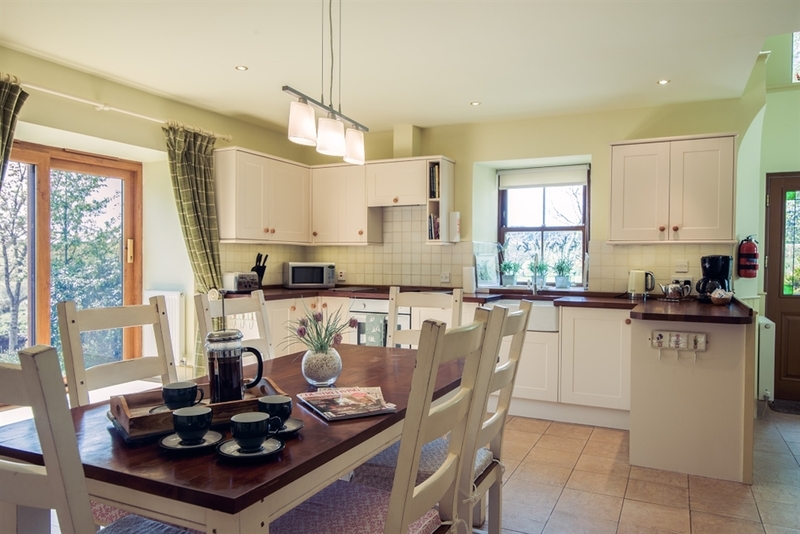 The Muckle Howf is a traditional Scottish stone-built steading converted into a luxury holiday cottage. It is the result of a long-term project undertaken at Craighead by Ian, Heather and family. With the main house all but complete and the gardens well underway, the stone steading that is now the Muckle Howf (Big Meeting Place) was a joinery workshop. What makes it special is the setting combined with the very high standard achieved in the convertion of the steading which has been awarded 5 stars by theScottish Tourist Board. It was important that the conversion was traditional and sat in its surroundings comfortably. A key aim being to offer something special for visitors, a place to enjoy and relax, with access to the gardens and a personal family welcome. With that in mind the design offers complete privacy but easy access. 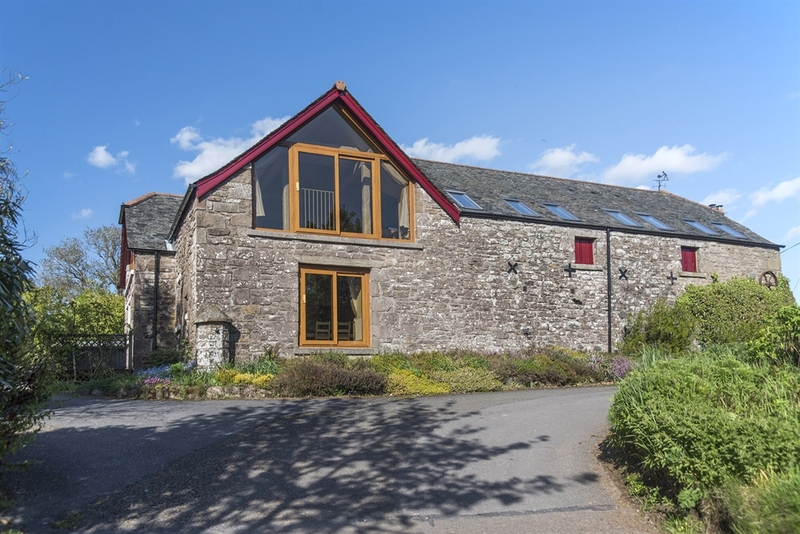 It optimises the wonderful views with its glazed gable end in the upstairs lounge and the master bedroom. Visitors are are always welcome to call in at our own home for any help or advice they need. Internally the conversion has optimised the space and structures to offer a wonderfully spacious feel. It offers three double bedrooms all with their own en-suite. The master bedroom has a large glazed wall to optimise the views and also has an en-suite bath with shower. 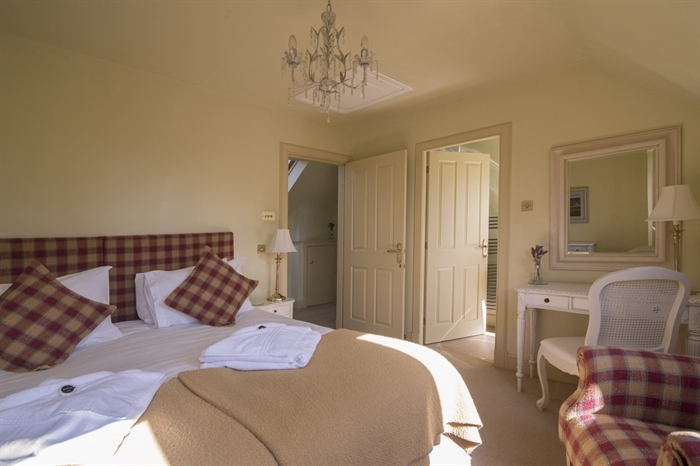 The two further bedrooms have the facility to be converted to twin or double rooms depending on the make up of the party. 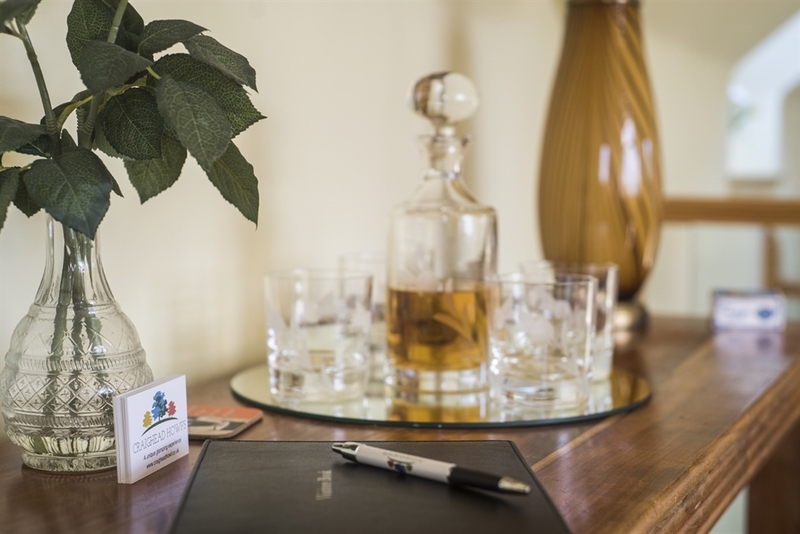 Upstairs is also home to the ‘whisky lounge’, this room has wonderful views through the glazed gable with a patio style door to ensure you get the true feel of the country and the best of the view. 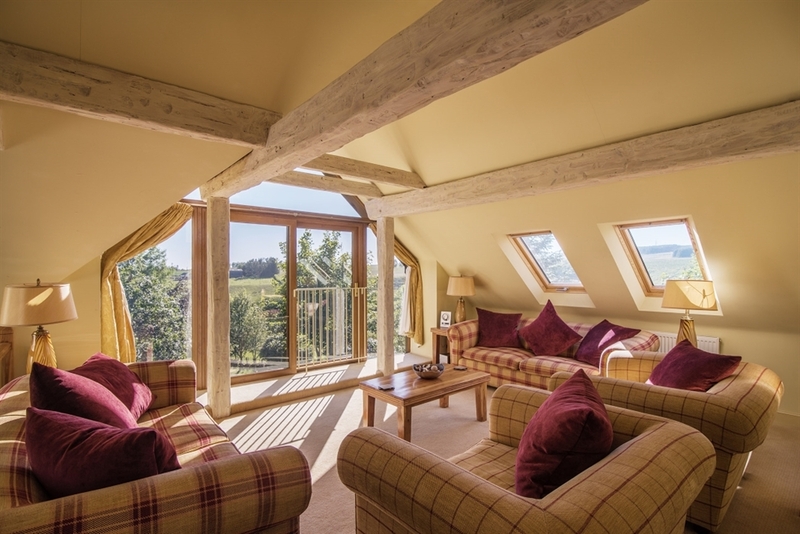 It boasts large comfy sofas, wooden beams and of course a wee dram for you to enjoy. 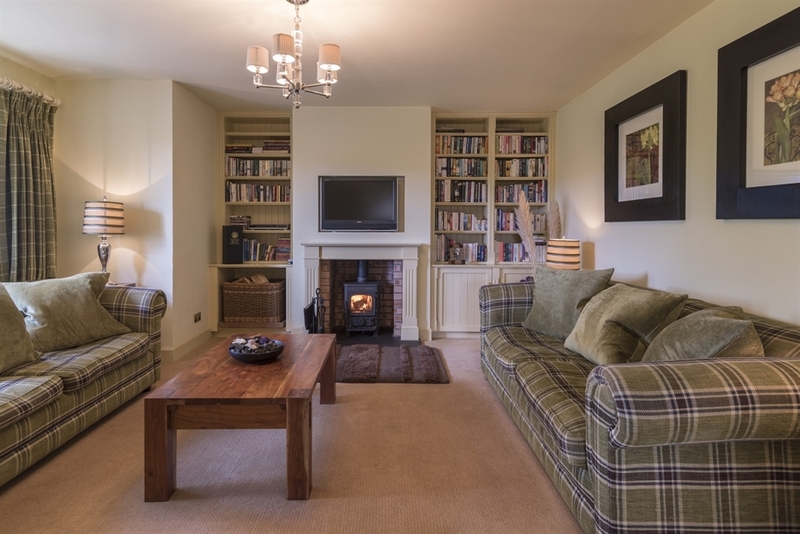 Downstairs in the cottage you will find the sitting room, again with big comfy seating, wide screen television, library and a wood-burning stove to ensure cosy evenings for our winter visitors. The large kitchen/dining room is bright and airy, it also has a large glazed patio door area to maximise the views and the light. The kitchen has been fully equipped to ensure that everything you need is to hand, the utility room means that you have washing machine/dryer, freezer, additional fridge and ironing facilities all to hand but tucked away. Downstairs also houses the sauna room. Here there is an invigerating shower, infra red sauna, toilet and wash hand basin. The hall out to the back door is the ideal space to house golf clubs, coats, shoes etc.. and also has a large wall map of Scotland to help with your planning. There is full oil fired central heating throughout. The Muckle Howf has its own private garden/patio/hot tub and parking area, which is completely secluded.